SOMETIMES IT SEEMS THAT WE ARE NEVER REALLY FINISHED with photography’s past, using today’s technology to summon forth the look and spirit of what we see as the early innocence of the art. Photographers are always trying to wrench free of yesteryear, and yet, in our images, we love to romance the echoes of the shooters that we were, as well as the world that what there to shoot. We like to conjure ghosts. We’ve reached a place where, through one process or another, it’s easy to evoke almost any phase of photography we desire, a strange nostalgia that has artificially extended the use of film by a good many years into the digital era. We like the feel, the habits, even the defects of film as a storage medium. We build brand-new pinhole box cameras: we revive and repair old tool dies so we can manufacture factory-fresh editions of defective old gizmos. We write computer code that allows our smartphones to imitate the grain and texture of archaic celluloid emulsions. Of course, there has to be subject matter to feed all this retro-tech, and, in the American west, the medium matches the message as we drench memories of the frontier in our own brew of reflective processes. 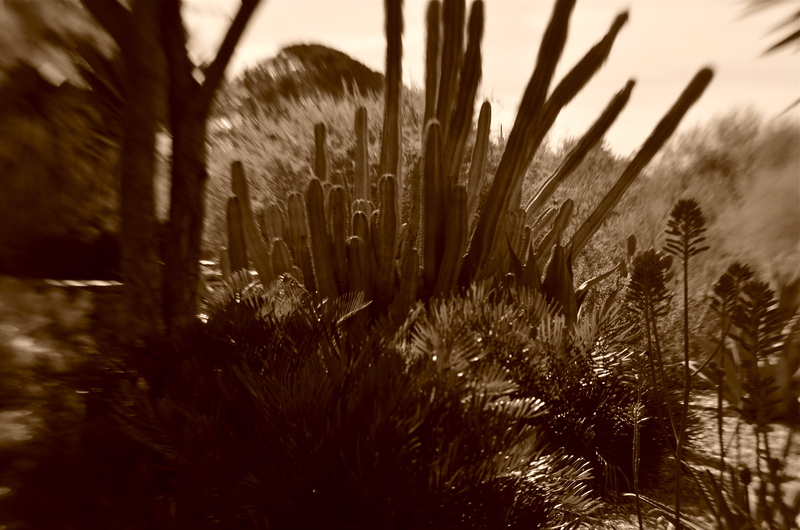 Sepia tone, soft focus, high contrast, long exposures, all of them are used to summon the bygone glories of cactus and canyon. The settling of the west will always create a kind of poignant ache for photographers. The surveyors, the settlers, even the Hollywood myth-makers all stole a march on us. We bring our cameras to try to spook up a smidgen of the Big Pictures that we missed. It’s a kind of harmless fakery that we paint upon mesa and mountain, a re-interpretation of a truth none of us really knows for sure. It’s dressing up to play cowboys and indians, with the camera’s eye to help make the best, most authentic forgeries we can muster. Living in the west in the 21st century, I find that conjuring ghosts, like indulging in any other kind of fantasy photography, is like building a doll house. I control the furniture, the wall paper, the layout of the rooms. We all arrived to late to ask the Riders of the Purple Sage to smile for the birdie. But there are still smiles of a sort, even an occasional tear, to be drawn in the dust. This entry was posted on January 24, 2016 by Michael Perkins. It was filed under Americana, Conception, Effects, Fantasy and was tagged with High Contrast, Nostalgia, re-creation, sepia, soft-focus. Thanks for your visit! Yes, the subjective part of photography is what makes it an art.